E-BIKERS STILL RIDE ON THE ROAD DESPITE LAWS PROHIBITING THEM FROM DOING SO! You are at:Home»Caught In The Act»E-BIKERS STILL RIDE ON THE ROAD DESPITE LAWS PROHIBITING THEM FROM DOING SO! Spotted these two at Ng Teng Fong hospital area at 6.20 to 6.40pm. 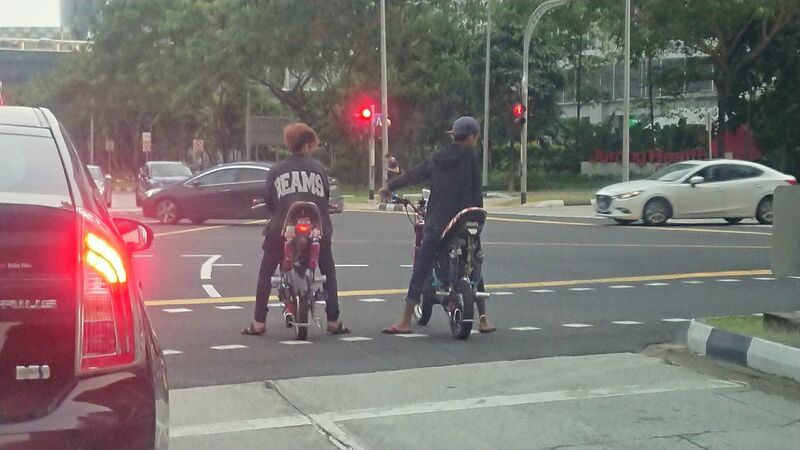 This two youngster don’t seems to be able to obey the even after the law is being implemented. Plus they are not even wearing safety gear or protection potentially become an hazard to other user! Next Article Own a Personal Mobility Device (#PMD)? Keep them off the roads for a safer ride!